Welcome back! Now that you’ve settled in a bit, we hope you’re ready to jump back into the swing of things. The second half of the year is busy—with so much going on, it’s easy to feel overwhelmed. But how can teachers put things into perspective and address this stress? To get to the heart of this issue, we’ve interviewed April Frazier-Wong, former teacher and current mindfulness expert for the NYC Department of Education. We hope her guidance can give you perspective as you gear up for 2018! What is mindfulness? How did you become interested in practicing it? Mindfulness is a mindset. It means having a heightened awareness of what you’re doing, being present, and being aware of what’s going on in your mind and your surroundings. I first started practicing mindfulness because it had parallels to other aspects of my life. I’ve always been a spiritual person and a non-traditional learner; I’ve also practiced yoga for many years. Being aware of my body and breath pushed me to think about how to bring the same practice into my classroom. 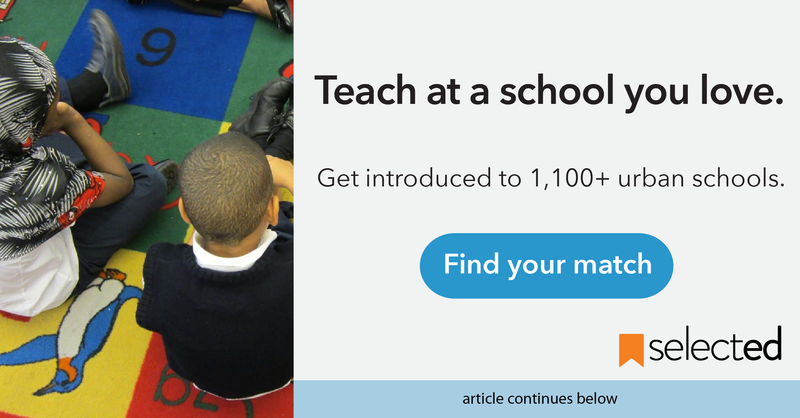 What inspired you to bring mindfulness to kids and teachers? I look at teaching people in the education community about mindfulness as a way to help them access a better sense of awareness and safety. Children today are so pressure-cooked. They’re expected to reach an incredibly high standard of achievement, and they’re under constant scrutiny from their peers. Teachers are also under a lot of stress--the standards they need to meet are impossibly high, and they’re under a lot of pressure to perform well. I wanted to teach mindfulness as a tool to cope with this stress. 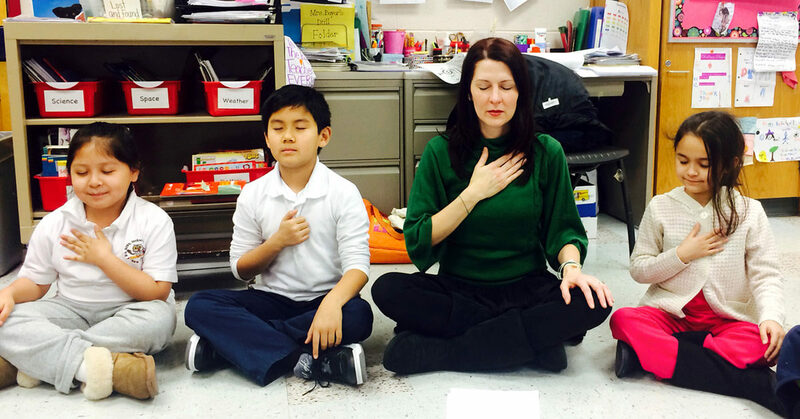 Teachers need to practice mindfulness just as much as kids do—if overwhelmed and unhappy adults setting the tone for instruction, it’s not a conducive system to learning. What are some mindfulness tools that could work for teachers? I think one of the most effective ways teachers can bring mindfulness into their classrooms is to integrate it into things they already do. Mindfulness is about being present, so think about ways you can get kids to be grounded in a moment. Are you walking through the hallway after lunch? Try to get your students to notice 3 things in the hallway. Is your class in the middle of having a snack? Have your students think about what flavors they taste in their food. When you’re doing this, leave room for silence, but call things out. Guide them in noticing the details around them and what’s going on in their heads. Another important concept to remember when practicing mindfulness is to hold space for resistance and discomfort. Acknowledge that there are stressful factors around you and create space for them as you ground your mind and body in the present moment. Be aware that the tension between your mind and body might be uncomfortable. Not doing this would be disingenuous, and being honest with what is in your head is part of being mindful. What would you say to teachers who are overwhelmed about practicing mindfulness? When I talk to new Teaching Fellows, I try to take them out of the classroom to calm them down. I notice that new teachers in particular are really concerned about doing the right thing, and about doing things perfectly or correctly. I always tell teachers and kids that being mindful is practice—not perfection. It’s helpful to be honest about the discomfort and stress that comes with being a human being and leave space for it in your thoughts. I also encourage teachers to try to accept that there are lots of synchronicities happening and tons of things going on. Teaching sometimes feels like an uphill battle, but I want them to know that they’re not alone and to try to be at ease with the fact that things are not always in their control. How do you talk to kids of different ages about mindfulness? I think it’s all about framing it correctly. When I talk to kids of all ages, I frame mindfulness as something you can’t do wrong. This way, kids don’t see mindfulness as an obligation, but as something they can do to improve their wellbeing. Meeting people where they’re at—look at what state your kids are at; it makes sense to approach kids differently if they’re jumping out of their skins after PE vs. if they’re zoned out after a boring class. Evaluate what your students are doing before approaching them. Games—everyone likes games. 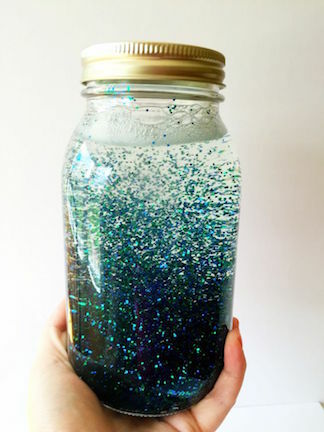 Doing things like playing a song and asking students to focus on individual instruments, having students focus on certain elements in a room, or making a mood jar can really help pull them back to a calmer mindset. Group routines—having kids do exercises that make them aware of their bodies and how they feel in the moment can help calm down big groups. This could mean anything from breathing exercises to physically shaking out any anxious energy left over from the class before. Checking in individually—kids of all ages can benefit from someone checking in on their state of mind and giving guidance on how to be present. Working with kids from rough neighborhoods provides another level of complexity. They carry a lot of trauma with them, and their minds are more often in a state of stress. In these cases, it’s important to tell them to acknowledge these burdens as they focus on being in the present moment. A lot of practices in education are measured by checklists and metrics—how do you think this will affect how educators implement mindfulness into schools? Right now, there aren’t set ideas of how to practice mindfulness, but I understand how this might not fit with the DOE’s goals. Eventually, I think there might be shift toward providing a checklist for mindful practices, but for now I encourage teachers to meet kids where they’re at and to choose what makes sense on an individual basis. Like I said before, mindfulness is a constantly shifting state. I’m glad that the discussion around it is building, and that leaders in education see its value. But I hope they respect the fact that there isn't one way to practice mindfulness -- everyone’s path to getting there is different, and acknowledging this difference is part of the experience. April Frazier-Wong is a former NYC public school teacher. She taught 6th grade in the South Bronx, and is now a leading instructor for the NYC Teaching Fellows and a mindfulness consultant for the Department of Education. She works in schools across NYC with students of all ages K - 12 and provides guidance to individual kids as well as large groups through her company, Ahimsa Mindfulness and Yoga LLC Consulting.